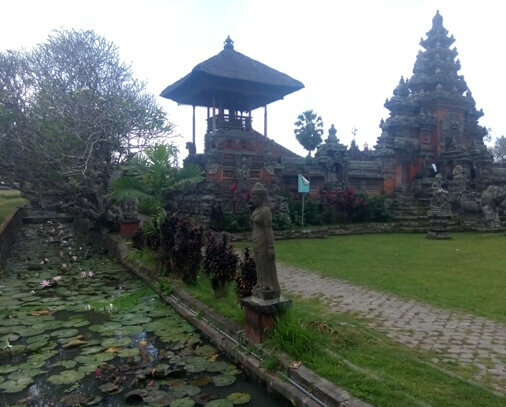 The uniqueness of culture and traditions in Bali continues to experience the pressure of the technology and changing times. However, because of the high value and flexible nature, it has survived and can still be enjoyed until now. One of that uniqueness is a traditional medium of communication in the form of musical instrument, made of wood or bamboo, called "Kulkul" or Balinese Slit-Drum. The existence of this traditional communication tool is still preserved until now. It plays an important role in the daily life of Balinese Hindu community. This traditional slit-drum is an artifact that has been around since long ago and a common device used in the Southeast Asia. The Kulkul existence is mentioned in several ancient manuscripts such as Lontar Markandeya Purana, Lontar Diwa Karma and the Java-Hindu poem. 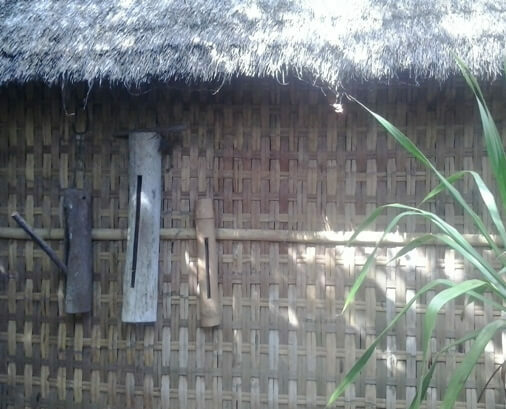 Furthermore, during the Dutch colonial period in Indonesia, kulkul is known as the "Tongtong". Kulkul Bali has several functions consist of: (1) means of ritual, for example in the implementation of "Tawur" both during the temple ceremony or the day before Nyepi; (2) sign to start or completion of a job, it is associated with distributing the labor in an activity or ceremony; (3) sign of regular meetings between the communities; (4) sign of emergency during a disaster such as fire, earthquake and other; and (5) tool to call the poultry. This slit-drum is usually made of Jackfruit wood, Teak wood, and Bamboo. The trunk about 1-2 meters with a good circumference size is cut, cleaned its bark, and made a slit by using a chisel. Then the slit is carved out again so as to form a cavity. The cavity will create a melodious sound when the kulkul is played. As for the bamboo, only need to create a slit, considering bamboo has had a cavity in it. However, it must be careful because the bamboo skin is very crisp and easy to cause injuries. The Kulkul that is mounted in a holy place or places that are considered important in Bali, usually through the longer process of making and accompanied by certain rituals from material selection to the installation. This makes kulkul Bali have sanctity and spiritual vibe that is so respected by the Hindu community. 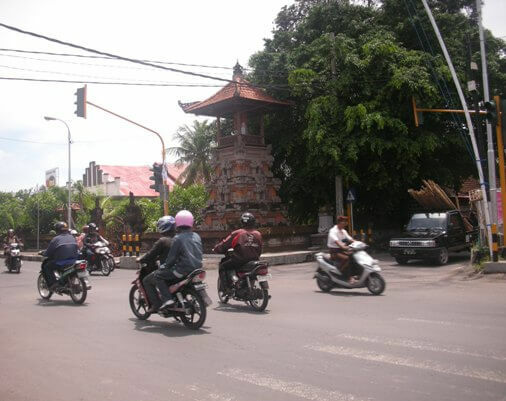 The kulkul will be placed on the building-tower, located in the front corner of the temple area or Bale Banjar, called "Bale Kulkul". Bale Kulkul is a pavilion where a kulkul (slit-log drum) is placed. Basically, bale kulkul is a watchtower-like structure, consisting of: (1) base; (2) topped (wooden structure where the kulkul is hanged); and (3) roof canopy as a shelter for the slit-drum. The bale kulkul found in Bale Banjar is usually to fulfill civic functions, for example in inviting citizens to conduct regular meetings. While bale kulkul found in the temple is more to the religious functions and ceremonies. Its architectural design is appearance more attractive, constructed of masonry structure and heavily decorated with mythical features.